Casimba launched in 2017 with some of the loftiest goals imaginable. 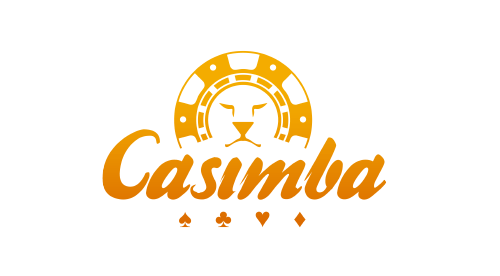 Not content to simply name themselves after a popular king of the jungle, the minds behind Casimba have taken to calling their site the King of All Casinos, something that is sure to catch the eye of players and industry insiders alike. Setting such a high standard right out the gate can be dangerous, but Casimba has thus far handled the self-induced pressure with aplomb. A beautifully rendered website filled with fun and memorable design elements gives way to a massive selection of games, all of which goes a towards justifying Casimba’s claim to the throne! Casimba has gone very big right out of the gate when it comes to their roster of games. Offerings from over 20 different software providers are present, including games from companies like Microgaming, NetEnt, and the live casino experts, Evolution Gaming. Taken together, over 500 different online casino games call Casimba home. As with most online casinos, Casimba puts slot games front and center, giving players hundreds to choose from. The site’s top-notch search functionality makes it easy for players to sift through the many offerings and find exactly what they want to play. But the casino also offers a fun and unique “Play a Random Game” button that does exactly what it promises, randomly connecting users to games they might otherwise overlook. Casimba also gives its customers the ability to create a Favourites list where they can put the games they most enjoy playing all in one place for easy access later. While slot games may be given the most prominent positioning at Casimba, by no means do other forms of casino gaming get short changed as a result. The casino’s desire to provide unparalleled selection extends to their table game and live dealer sections, and even those categories are not the end of things. On the table game side of things, there are over 50 different options to choose from, including multiple variations of casino classics such as roulette, blackjack, and baccarat. Additionally, more unique games such as Red Dog, Odd One In, and Six Shooter can also be found in this section. The Live Dealer options keep the theme of diversity going, as Casimba has partnered with not one but TWO of the top live game developers in the industry, Evolution Gaming and NetEnt, giving players a choice when it comes to their live play. From roulette and blackjack to three card poker and Ultimate Texas Hold’em, live dealer players have no shortage of options. With so many games in so many categories from so many providers it would be easy for things to get confusing at Casimba, but the casino has gone a long way towards avoiding that pitfall. As was mentioned already, the search functionality of the casino and the ability to create a list of Favourite games are incredibly helpful in this regard. But so is the fact that they attach the logo of the developer on almost every single game on their site, making it easier for users to play games from providers they trust or experiment with new and exciting options. Whatever route they choose, they are sure to find something to enjoy at Casimba!